"There are no shortcuts - everything is reps, reps, reps."
Or like that one song in Rocky IV, "there's no easy way out, there's no shortcuts home!". It's been a long but very rewarding and Damme fun week after the Van Damme Triple Dip. It took me a while to get off my duff and DO something beyond talking about events like these and once it was all over, I actually felt it was kind of easy to do. 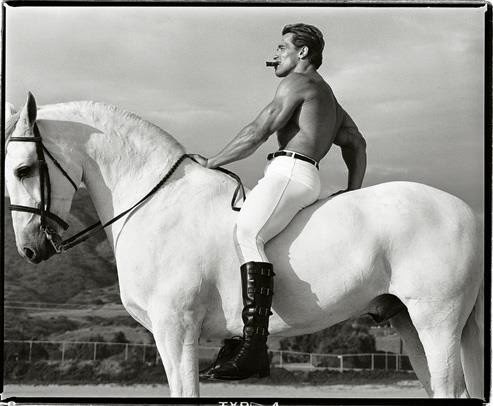 On the list of "men who have influenced me" list, Van Damme ranks number 2 while Arnold is a close 3rd. His can do attitude, mind for business, never settle and no "low forehead" tolerance is an inspiration to us all. What I've learned in recent months is that you just have to go for it. All people can say is "no". They're not going to physically harm or publicly humiliate you or anything, know what I mean? And if you come up short, who cares, you'll probably learn something or meet someone interesting on the way and that counts too. Because when you believe in yourself and know who you are, the sky is the limit, right? There can be no resolution without conflict, no knowledge without experience and no muscles without reps.